THE Presidential Panel of Investigation set up to review compliance of the military on rules of engagement has commenced hearing in Port Harcourt. 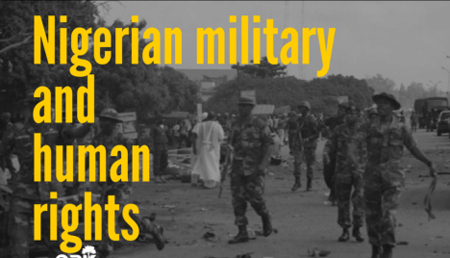 Its chairman, Justice Biobele Georgewill, said yesterday the panel would listen to stakeholders from the south-south region over alleged human rights violations by the Army, Air Force, and Navy. He said the panel would take receipt of memorandum from state governments, traditional rulers, community leaders, non-governmental organisations, civil society organisations, human right groups and other stakeholders. “It is gratifying to inform that the panel has been receiving memoranda from across the country as we intend to hold public hearings in each of the six geopolitical zones. “We have concluded our sitting in Maiduguri (Adamawa) for the Northeast zone, and now, we are in Port Harcourt for the South-South zone from September 25 to September 28. “The public sitting will attend to all memoranda submitted to the Panel from all the south-south states and thereafter, move to other remaining zones of the country. “This arrangement will provide the opportunity for all those who submitted a memorandum to make presentations before the panel sittings at each of the zones,” he said. Georgewill said the hearing was a unique opportunity for individuals, groups, and organisations to present verifiable evidence of alleged human rights abuses by the Armed Forces. According to him, the penal inaugurated on Aug. 11 by Vice President Prof. Yemi Osinbajo, was mandated to investigate alleged crimes against humanity by the military in tackling local armed conflicts.